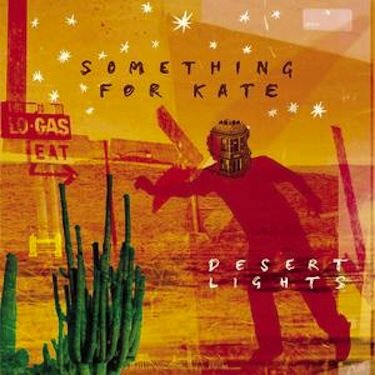 Recorded in LA in 2005/06 and produced by Brad Wood (Liz Phair, Ben Lee, Tortoise, Smashing Pumpkins), Something For Kate’s fifth studio album ‘Desert Lights’ represents the band at the height of their creativity. Stripping back the production of ‘The Official Ficition’ and ‘Echolalia’, ‘Desert Lights’ fuses an intimate emotional depth with a stark aesthetic to capture the raw energy of SFK’s live sound. This 2CD limited edition version of ‘Desert Lights’ includes a bonus disc of live bootlegs, recorded on SFK’s Sci-Fi Sunsets Tour back in May in support of first single, ‘Cigarettes and Suitcases’, as well as Paul’s cover of Springsteen’s ‘Born To Run’. Already scoring major accolades, including Triple J’s Album Of The Week, many are hailing ‘Desert Lights’ as Something For Kate’s finest hour yet.